Can you tell the difference between a 1973 Range Rover and a 1979 Range Rover? 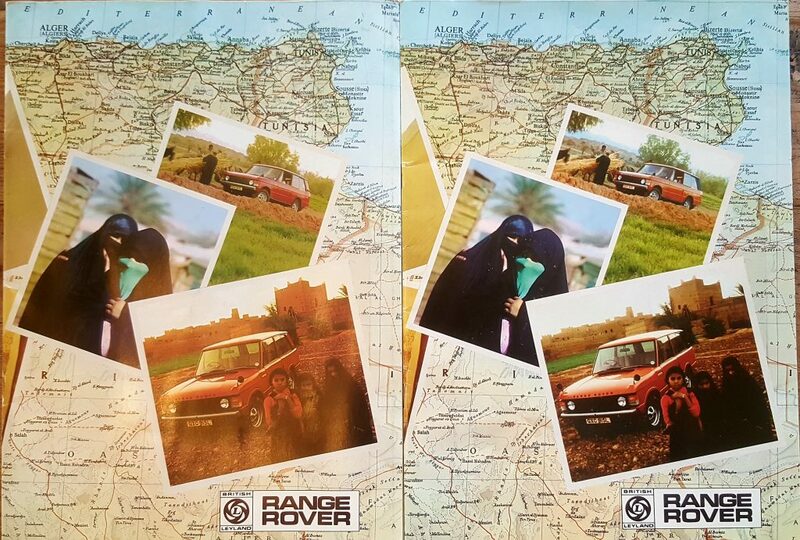 Only minor cosmetic details give the game away, so Land Rover’s PR department decided that the sales brochure for the 1973 model year was good enough to reuse a full six (!) 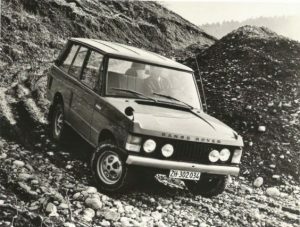 years later, for the 1979 incarnation of the Range Rover. They were so lazy, cash strapped (or on strike, it wás the seventies after all) that all they did was recolour the D pillars in all images to black (Suffix A cars had body coloured D pillars). They did however, forget to update the L-plate and single exhaust to twin exhaust. Even the publication no. (BLI18) was left unadjusted. The 1973 brochure was had a printing run of 10.000, of the 1979 version 6.000 copies were made. Both of the brochures are in our collection and are for sale, in English, German (Austrian market) and French. Please enquire.